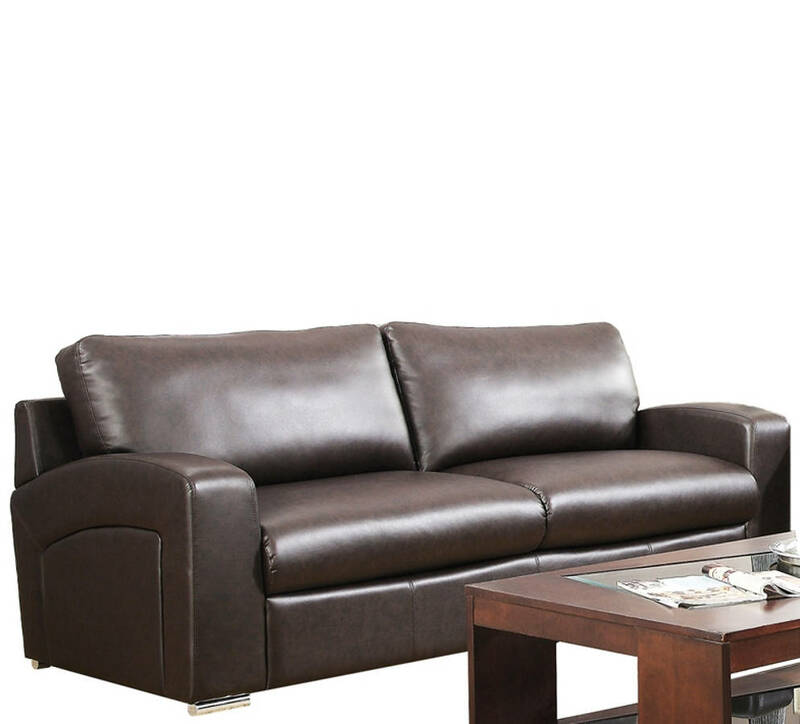 Upholstered in a warm, dark brown bonded leather, this sofa attracts immediate attention with a unique contemporary design. Featuring rounded armrests with a matching contour design, this angled back chair provides maximum comfort for a relaxing night in without sacrificing style. Plush cushions, cylindrical chrome metal feet and sloped arms complete this piece making it a must-have for any living space.